Raumfahrt - China Focus: Sunrise for Chinas commercial space industry? The launch of a Soyuz MS unmanned spacecraft to the International Space Station (ISS) is planned for August 2019, Russia’s Energia Rocket and Space Corporation, the spaceship’s developer, said on Friday. This will be the first launch of an unmanned spacecraft to the ISS: previously all Soyuz space vehicles were manned and were used to deliver the crews of new expeditions to the world’s sole orbiter. "The launch of the Soyuz MS resupply ship aboard a Soyuz-2.1a carrier rocket is planned for August 2019. The space flight will be conducted in an unmanned mode, which will help raise the payload several times due to the absence of some devices and equipment required for ensuring the crew’s work," the Energia press office said. Currently, the unmanned Soyuz MS spacecraft is at the stage of assembling its compartments. As Energia Chief Designer Yevgeny Mikrin said, the unmanned Soyuz MS is not a new modification of the manned space vehicle. "This version of the Soyuz MS differs from ordinary serial-produced spacecraft by a modernized motion control and navigation system with the relevant improvement of some onboard systems. Our task is to test this system and also to check the spacecraft’s integration with the Soyuz-2.1a carrier rocket," Mikrin explained. 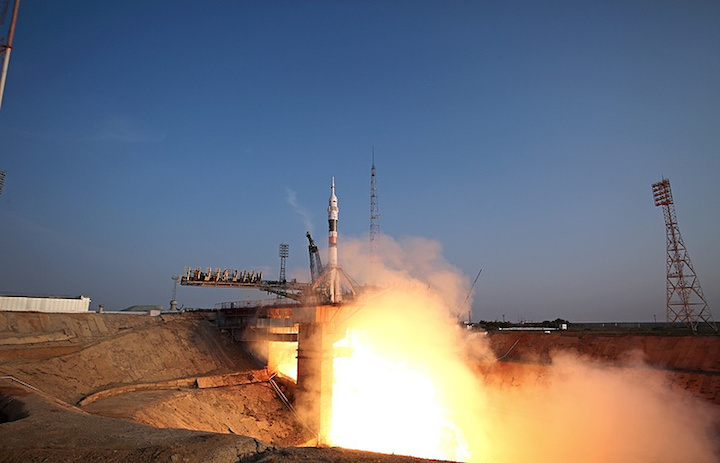 The flight test results of the modernized motion control and navigation system can be used to produce a new Soyuz GVK cargo retrievable spacecraft, which Energia Rocket and Space Corporation is developing on the basis of the Soyuz space vehicle. "The Soyuz GVK features considerably improved onboard systems and a different nose fairing (without the emergency rescue system). The resupply spacecraft will be able to deliver two tonnes of cargoes into orbit and return 500 kg to the Earth," Energia said.